I still have the old counter top on the new cabinets. The granite tops won't be here for three more weeks. Since the stove is moved 9 inches to the right, I had to cut the old top to fit. Removing the old cabinets too about 1 day, Installing the new ones took a day and a half. Plumbing and wiring took much longer than anticipated, but, the water was off for only 1/2 a day and we were only without use of the kitchen for three days. I've completed most of the wiring and all the plumbing. Yesterday, I started on the floor. 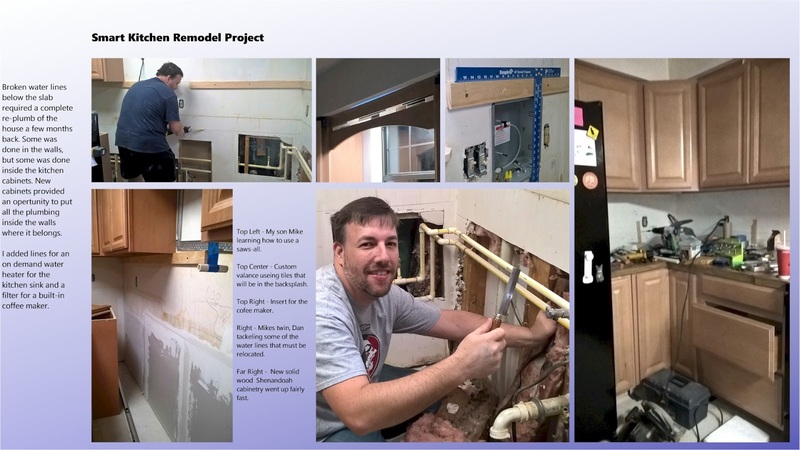 When I'm exausted by the remodeling, I work on the program . Here are some of the tiles from my Windows 10 phone. 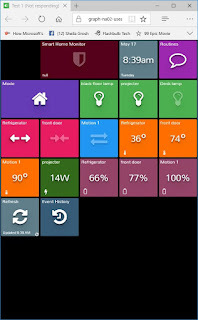 I'll Be able to monitor the frig and freezer temperaturs, and get an alert if they are too high or the doors are left ajar. 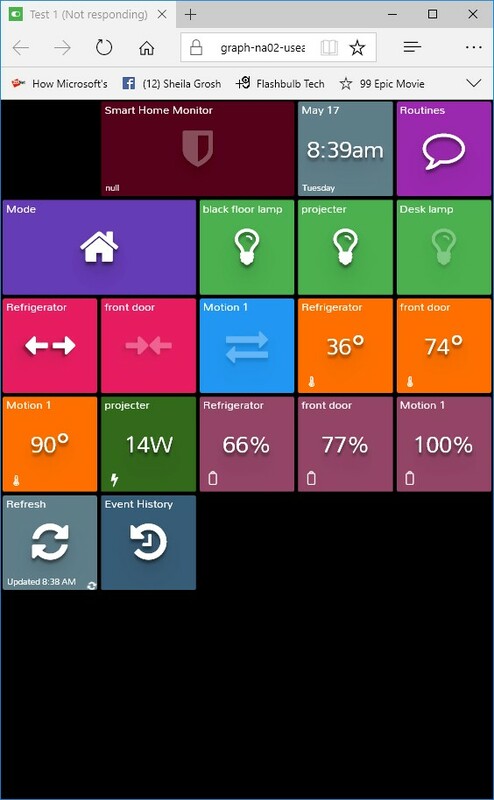 Windows 10 introduced a new feature called All-Join, that keeps track of the internet of things. So far it looks promising.